Please register by shopping for Summit registration in the online store, or by downloading the fillable registration PDF and returning, with payment, to the Academy (make checks out to PRF) via email (info@psychrehabassociation.org), fax (703.506.3266), or mail (7918 Jones Branch Dr Ste 300, McLean, VA 22102). Please note that your registration will not be processed without payment. Cancellation/refund requests received in writting by May 1, 2018 will be honored and will incur a $75 processing fee. Requests received between May, 2 and May 14, 2018 will be honored and will incur a $125 processing fee. No refunds will be issued for requests made after May 14, 2018. Refund payments may take up to six weeks from the date of your refund request. Substitutions: Written notification of a substitution must be received (via email to info@psychrehabassociation.org) by 5:00pm EST on May 31, 2018, and will not incur any additional fee. No Substitutions will be honored on site. Should you be unable to attend the Summit your full registration may be transferred to another individual at no charge. A full conference registration may NOT be shared by multiple individuals. In order to allow time for processing, Written notification of a substitution must be received (via email to info@psychrehabassociation.org) by 5:00pm EST on May 31, 2018, and will not incur any additional fee. No Substitutions will be honored on site. 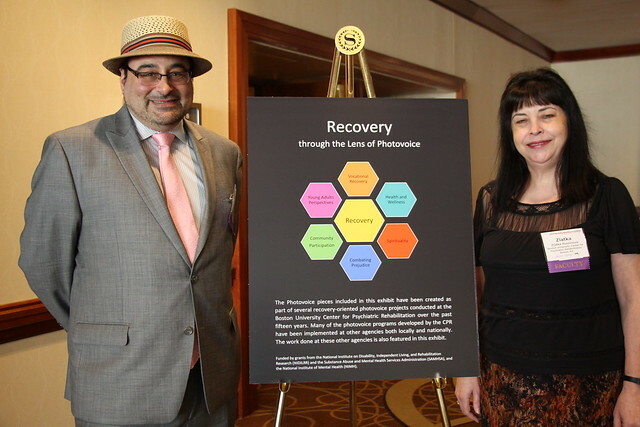 In compliance with ADA regulations, the Academy for Psychiatric Rehabilitation and Recovery / PRA will make all reasonable efforts to ensure those with disabilities are given equal opportunity to participate in the Summit. Please submit your request on your Summit Registration, or via email to info@psychrehabassociation.org by May 1, 2018. Looking forward to the Summit?